Our stock is inside the EU, so there will be no customs problem. We ship after the payment arrived. We send your order in two sealed envelops. On the envelop nothing shows what is inside. So nobody knows that what you get. Delivery time is 2-4 business days. You can track the shipment history at any time using the tracking number. For bank transfers to us, use a simple bank transfer (SEPA transfer). For some savings banks and national banks, customers need to be released for international SEPA transfers. This can be done by telephone or online. The correct use is essential for the quick and correct allocation of your payment, please always indicate your order number. Please transfer the exact amount (including shipping costs), a round-up or "tip" may also lead to delays. Too much paid amounts can not be reimbursed for administrative reasons. You always have the possibility to send us a copy of the transfer document so that we can update your order status at an early stage and send your order faster. We reserve the right to wait for the payment receipt in exceptional cases before sending the order. At present, the duration of goods to delivery is 2-4 business days. Please check your delivery address carefully! Again and again it happens that the delivery failed at incorrect addresses! Our delivery guarantee does not apply. Our sender's address on the broadcasts is fictive and does not exist. A consignment is deemed to be successful as soon as this is shown in the online information (post office, logistics company). If a consignment is rendered in accordance with this, it is incumbent upon the customer to investigate accordingly, if the consignment is still not available to him (family members, neighbor, etc.). 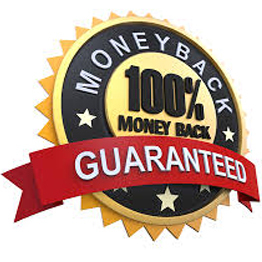 In all cases of force majeure (such as strike at the post office or logistics companies) our delivery guarantee does not apply for obvious reasons. We assure you that we supply only original products from the manufacturer and pharmaceutical group Ajanta Pharma and no copies of any other companies. For individual products, we refer to other manufacturers. Small batches of nearly unknown manufacturers, we do not deliver in principle. We supply only fresh produce directly from the production, so the minimum shelf life (MHD) is at least 2 years, for sildenafil products at least 3 years. We deliver exclusively in the original packaging (blister or bag) with printed durability date and serial number. We leave our packaging for technical reasons. Please check your goods immediately. For complaints, please contact us confidentially and within a week. Complaints, which are received later, can not be taken into account as a rule.